Morrison & Foerster Global Privacy and Data Security partner Andrew Serwin has been named to the board of directors of the National Cyber-Forensics and Training Alliance (NCFTA), a U.S.-based organization that works with government, private industry, academia, and law enforcement to study, counteract, and prevent cybercrime. Mr. Serwin, resident in Morrison & Foerster’s Washington, D.C. and San Diego offices, begins his term on the board in September. The NCFTA was established in 2002 to develop intelligence and share information with its partners as part of the international effort to fight cybercrime. Based in Pittsburgh, the organization has aided in the successful prosecution of more than 300 cyber-criminals worldwide and produced more than 800 reports on global cyber threats. The NCFTA board includes executives from the telecom, accounting services and financial industries, as well as higher education. The board advises organization CEO Maria Vello as part of facilitating overall cooperation against cybercrime among law enforcement, private industry, and government. The organization has a number of current initiatives, including those targeting online financial crimes, consumer protection and the prevention of online fraud and counterfeiting, and malware. The NCFTA emphasizes that cybercrime can also support and enable current crises, including human and drug trafficking, terrorist activities, child exploitation, and other illicit activities. Mr. Serwin is an internationally recognized consumer protection and privacy lawyer, as well as a thought leader regarding information, and its role in society and the economy. 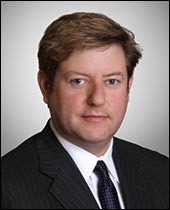 He advises large and small companies on global privacy compliance and technology transactions, and has litigated cases before the Federal Trade Commission and the Office of Civil Rights. Mr. Serwin is also CEO and executive director of the Lares Institute, a Southern California-based think tank focused on information management issues. He is also a member of the advisory team of the Naval Postgraduate School’s Center for Asymmetric Warfare and is an international advisory council member of APCO Worldwide, a global communication and business strategy firm. Security magazine named Mr. Serwin to its list of the “25 Most Influential Industry Thought Leaders.” He is the only lawyer at a private law firm lawyer ever to receive such recognition. We are Morrison & Foerster — a global firm of exceptional credentials. Our clients include some of the largest financial institutions, investment banks, Fortune 100, technology and life sciences companies. We’ve been included on The American Lawyer’s A-List for 11 straight years, and the Financial Times named the firm number six on its list of the 40 most innovative firms in the United States. Chambers USA has honored the firm with the only 2014 Corporate/M&A Client Service Award, as well as naming it both the 2013 Intellectual Property and Bankruptcy Firm of the Year. Our lawyers are committed to achieving innovative and business-minded results for our clients, while preserving the differences that make us stronger.